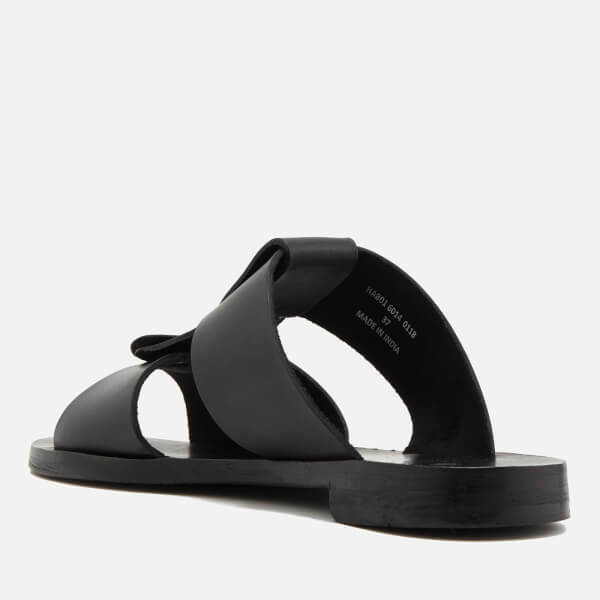 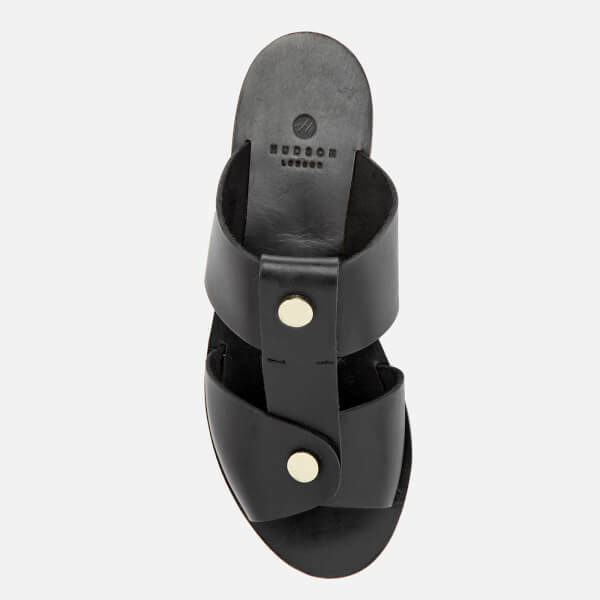 Women's leather sandals from Hudson London. 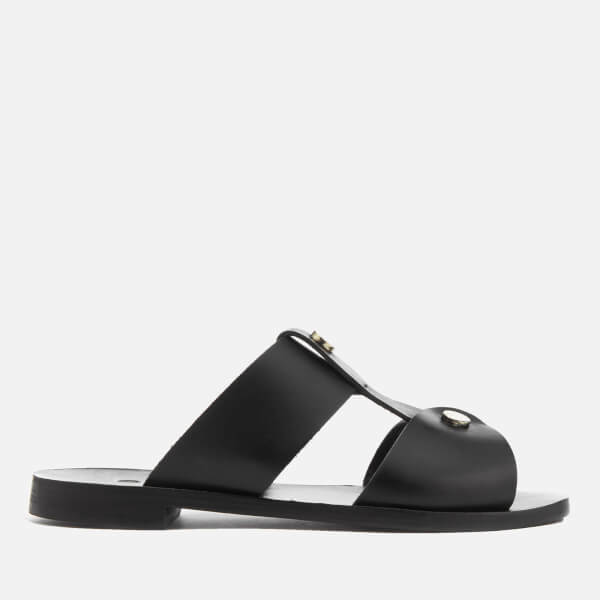 Crafted from smooth calf leather, the 'Aponi' sandals showcase a two strap construction with gold-tone hardware button embellishment. 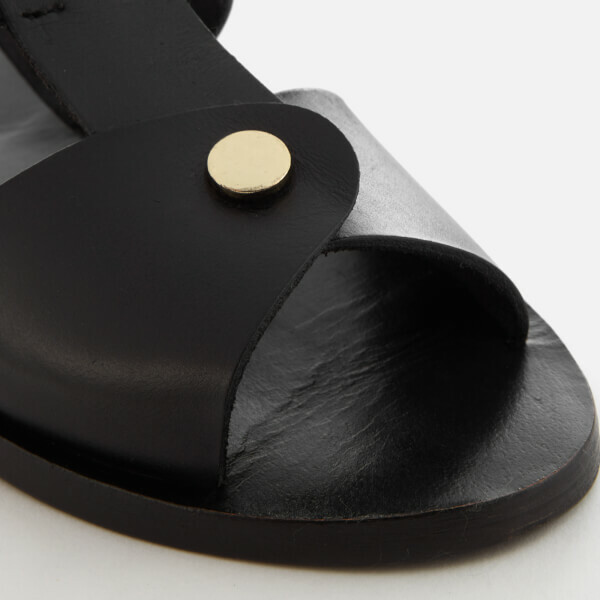 Set upon a sleek leather sole.